Paddy Power will fire thousands of rainbow-coloured pants in the crowds at Brighton Pride this weekend to challenge a lack of openness on homosexuality in the Premier League. 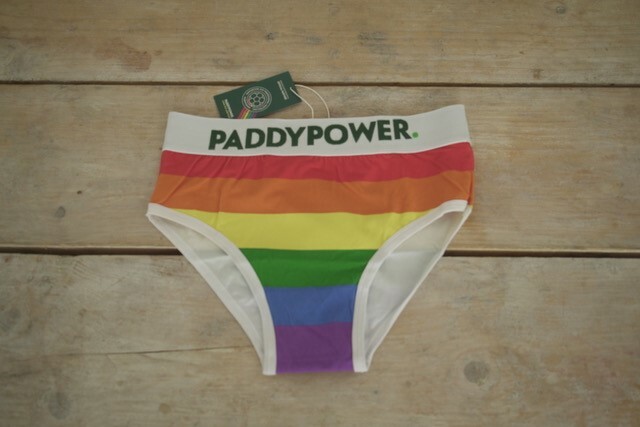 A bespoke 2018 Pride edition of the Paddy Power pants have been created and around 5,000 pairs of the rainbow-adorned underwear will be fired into the crowds by a fleet of winged male models, dubbed "Paddy’s Angels". 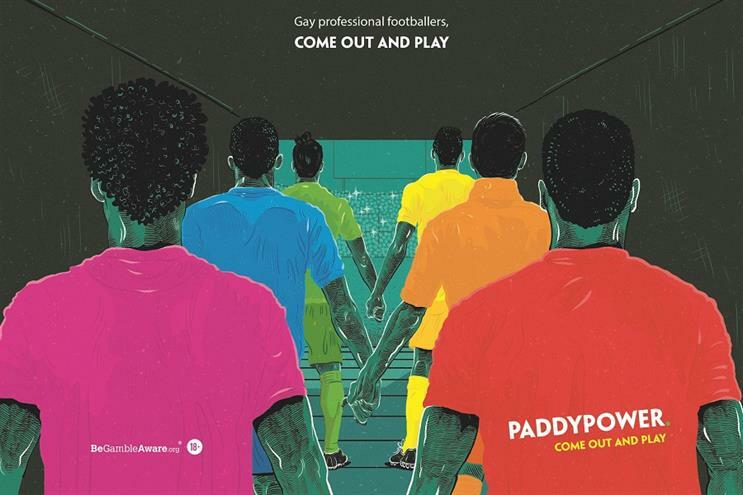 Paddy Power’s stunt – planned with agency Officer & Gentleman – intends to highlight the statistical anomaly that none of the 500 players registered in football’s Premier League is openly gay. There are more than one million people in the UK who identify as being LGBTQ and the Irish betting firm is blaming the environment within football for not supporting players who might want to come out. Paul Mallon, head of major brand activations at Paddy Power, said: "The world’s best-watched league should reflect the community around it – in the UK, one in 50 people consider themselves LGBTQ. "And yet, in the Premier League, not one player is openly gay. So we’re calling on the league to boot itself into 2018, and create a welcoming environment for its first gay player. "We think an out gay Premier League footballer would have an extraordinary effect not just on the LGBTQ community, but society in general. "They would spearhead profound change and, club colours aside, that’s something we support more than anything else." This isn’t Paddy Power’s first foray into tackling LGBTQ issues in football: it pioneered and launched the Rainbow Laces campaign, which got universal backing across the game. During the World Cup, Paddy Power donated money to LGBTQ causes every time Russia scored, raising £170,000 for the Attitude Foundation, which will support the LGBTQ community in football.